With PP017 EVO GRID 1 and PP020 EVO GRID 2 — respectively subtitled EVOlving Stringscapes and Second EVOlving Strings, Spitfire Audio unleashed upon an unsuspecting musical sampling world a whole new way of working with long string articulations. By recording a number of very long notes that change or mutate over time across the entire range of the keyboard, and allowing different evolutions — Evos in ‘Spitfire-speak’, A-listers and amateurs alike could create profound end results in hitherto unheard ways. What’s more, those note lengths are different across each Evo to increase the randomness of what the user creates. Creating such randomness is simplicity itself, however, thanks to the onscreen Evo Grid that lent its name to those trailblazing libraries and carries through to the latest SPITFIRE SYMPHONIC STRINGS EVOLUTIONS. There are 48 Evos available across the top of the grid while the keyboard range is listed on the left-hand side, split up and notified by the Note Centre in each range. To assign an evolution to a note range, place a (virtual) peg in the relevant hole on the grid itself — inspired by the breakthrough British EMS VCS3, which made musical history upon its introduction in 1969 by being the first commercially portable synthesiser available anywhere in the world, thanks to its innovative modular matrix-based patchboard dispensing with the telephone exchange-like cabling of other (much larger) modular systems in favour of making space-saving connections with (removable) coloured pegs. 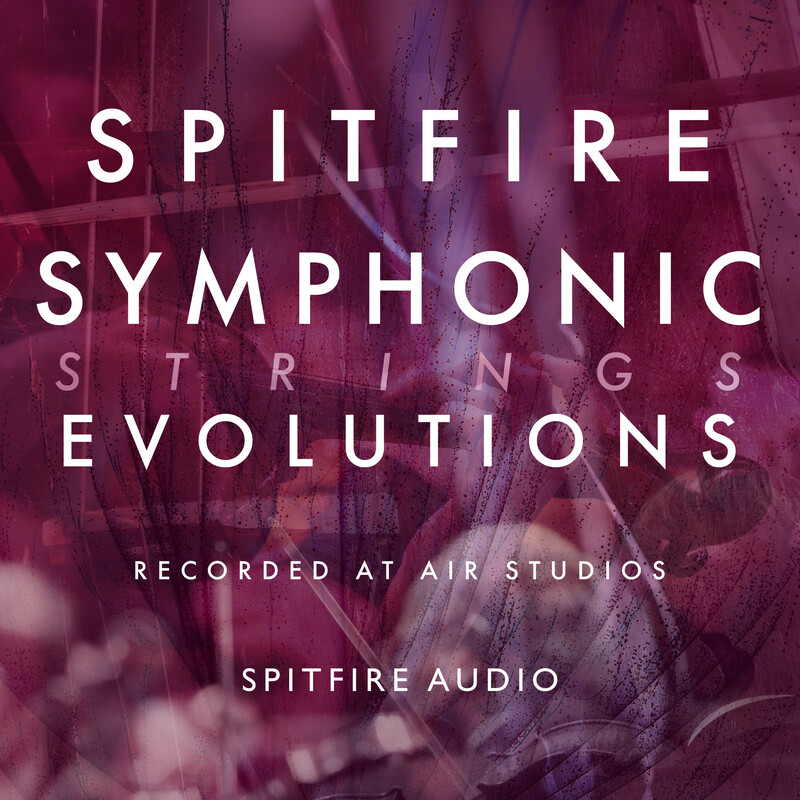 Do not forget, though… since SPITFIRE SYMPHONIC STRINGS EVOLUTIONS was recorded during the same session as its SPITFIRE SYMPHONIC STRINGS sibling, it features the same 60 star string players (16 1st VIOLINS, 14 2nd VIOLINS, 12 VIOLAS, 10 CELLOS, and eight BASSES) — all handpicked from the best orchestras in London — performing 48 Evos orchestrated by established contemporary concert composer Ben Foskett. All are performed in situ as they would be in a major scoring session, captured in the revered acoustic of Lyndhurst Hall within London’s legendary AIR Studios using the same high-class equipment — priceless valve and ribbon mics, Neve ‘AIR Montserrat’ preamps into a Neve 88R large-scale console, all recorded at 96kHz via a 2-inch Studer tape machine — to create an emotive and musical library that is rich in both beautiful and tense symphonic string parts. Put it this way: “SYMPHONIC STRINGS EVOLUTIONS is an incredibly creative tool, and a lot of fun to use; it can really bring a lot of texture to your compositions.” So says Paul Thomson by way of an appropriate closer. Can’t say fairer than that! Note that SPITFIRE SYMPHONIC STRINGS EVOLUTIONS needs Native Instruments’ free KONTAKT PLAYER (5.5 and above) — included in the purchase — while Spitfire Audio’s free Download Manager application for Mac or PC allows anyone to buy now and download anytime.